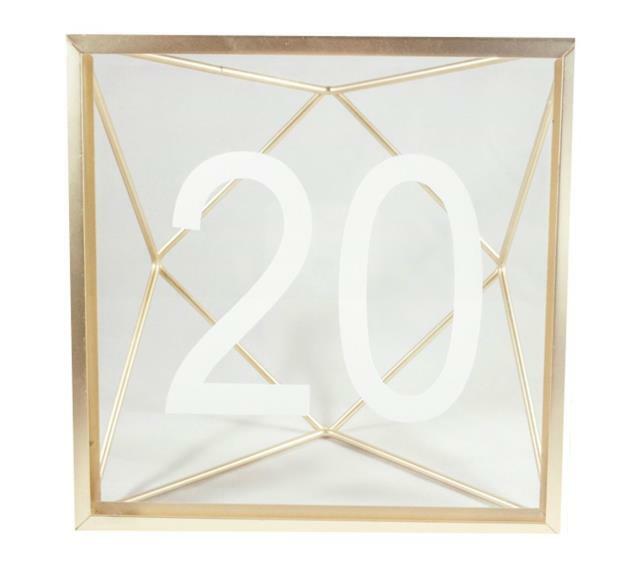 Geometric brass & glass table numbers come in sets of 1 - 15 and 16 - 30. Measures 6" tall, white numbers on glass frame. * Please call us with any questions you may have about our geometric table numbers 16 30 rentals/sales in State College, serving Central Pennsylvania.